Richard is a Fellow of the Chartered Association of Certified Accountants and has worked in the housing sector for over ten years. Richard has a wide range of financial and commercial experience gained working across a number of different sectors including banking, ICT and utilities. Richard has been Director of Finance & Resources at Parkway Green since 2006 and was previously a Director of Finance for a Manchester based housing association. 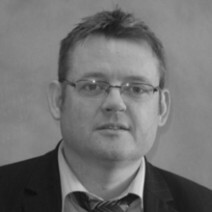 Richard has been involved with and led a number of change situations and in addition to finance has experience of running human resources, ICT and business support functions.